Every year you do one sort of gift exchange or another. 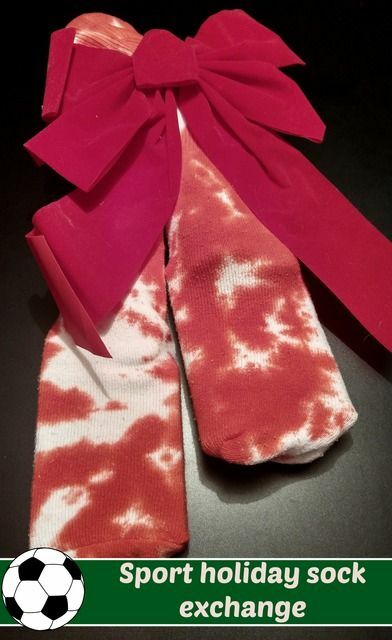 This year, my daughter's soccer team decided to have a soccer sock gift exchange! 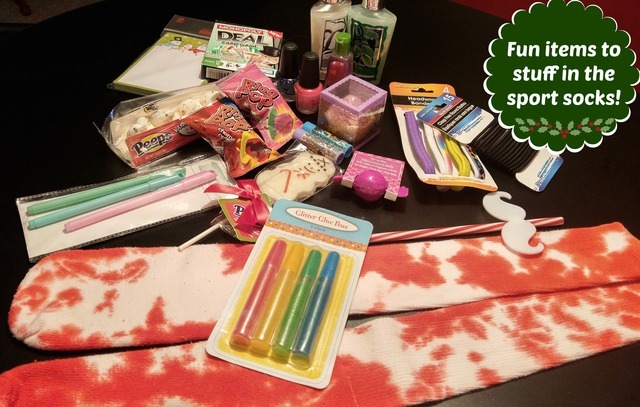 All the girls are to bring pair of soccer socks in fun designs stuffed to the brim of items their teammates may like! 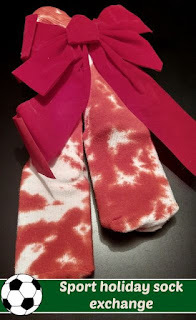 Fill both socks and tie a festive ribbon around it! Each girl will get a number and pick their favorite sock! You can also do the stealing game if you want. or what ever fun item you can think of!